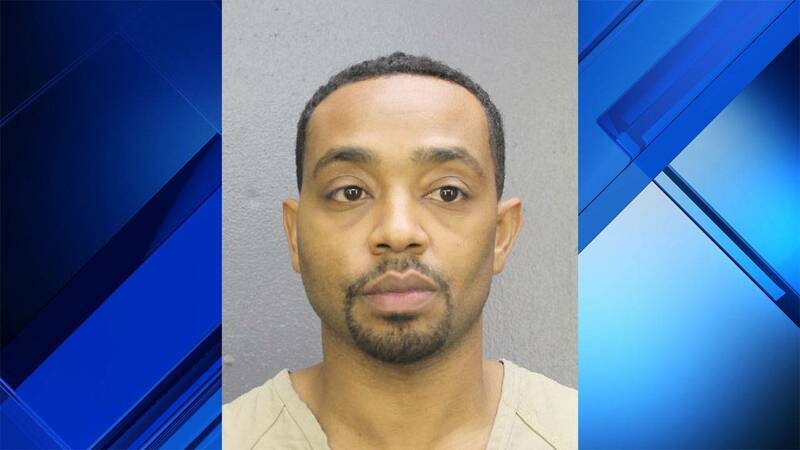 MIRAMAR, Fla. - A Miami man was arrested Wednesday after police said he held several employees of a Miramar mobile phone store at gunpoint because he was upset that he was denied a refund. Jeffrey Gourgue, 37, faces charges of robbery with a firearm and false imprisonment of an adult. According to the arrest report, Gourgue had purchased several mobile phones from a Boost Mobile store in the 3000 block of South State Road 7 on Saturday. Gourgue can be seen on the store's security video greeting store employees as if they were old friends and giving them high-fives. "My people! What’s good?" Gourgue is heard saying on the video. But when he returned to the store on Sunday he was angry because he said the devices were "cloned phones." Phone cloning is a type of fraud where users are able to use mobile phones under another person's account. Often the person who pays the account is unaware the fraud is taking place. After unsuccessfully demanding a refund, Gourgue locked the door behind him, telling several waiting customers that the store was closed, the report said. Gourgue pulled a handgun from his waistband and demanded that the employees turn over their personal mobile phones, the report said. The victims were able to negotiate with Gorgue and had their phones returned, the report said. The employees told Gourgue that he would be able to get a refund from the owner the next day. Gourgue then unlocked the door and left the store without incident, the report said. "If y’all cool why this happened? What forced him to do something like that?" store owner Sean Reid said. Reid credits one of his employees with defusing a potentially deadly situation. "If she hadn't been here I wouldn't have product left in the store, she did a great job of talking him down," Reid said. Gourgue turned himself in to Miramar police on Wednesday after the department received several tips about the incident. Gourgue is currently being held on $10,000 bond in Broward County's Main Jail in Fort Lauderdale. "He didn't play it cool or smart, and now he’s facing charges for something that could’ve been avoided," Reid said. Jeffrey Gourgue was upset because he said the store had sold him "cloned" mobile phones, police say. 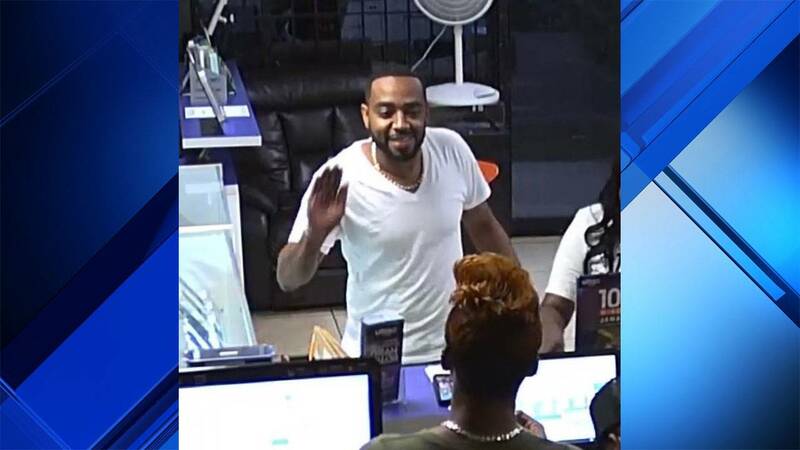 Miramar police released a still from the store's security cameras in hopes of identifing the man.